TeamSlidez are affordable, customizable and comfortable team athletic footwear. 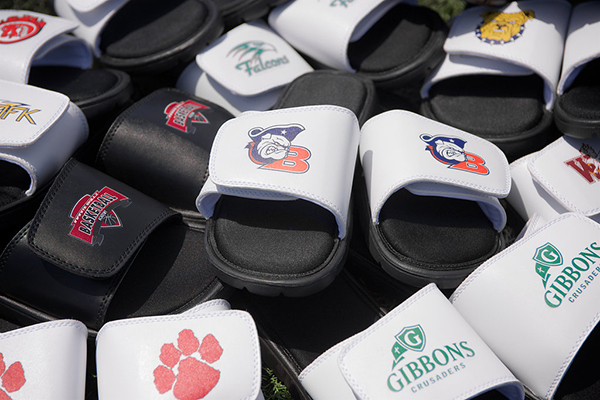 Similar to Sandals or Flip Flops, TeamSlidez are adjustable and often worn with socks. Remove your expensive sneakers/spikes and slip into the comfort of TeamSlidez after practices or games. TeamSlidez can be customized in 3 locations – (top and outside of each shoe) Add your Team logo, player’s name, player’s number and team nickname to create team unity and spirit.